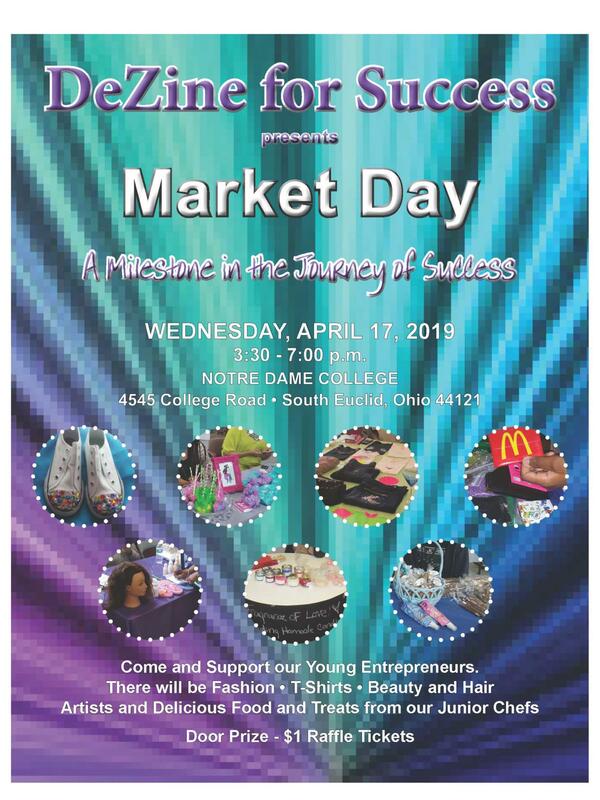 April 15, 2019 -- The DeZine for Success Program is hosting a market day on April 17, where Options student entrepreneurs will sell and display their creations. DeZine for Success, founded in 2008 by Cheryl Bellamy, is an incubator aimed at helping entrepreneurial youth in Northeast Ohio develop successful businesses. The organization has partnered with the CH-UH Options program to teach students how to create, market and sell products. The mission of the program is to build confidence and love for work, and to serve as a catalyst for sustainable financial independence. The businesses that the current students developed include a bakery, fashion and jewelry design, and beauty services. The event will take place from 3:30 to 7:00 p.m. at Notre Dame College.